A feral cat is a domestic cat that has lived without human influence most of its life. These cats are “unsocialized”, meaning they have not developed accepted social behaviors toward humans. 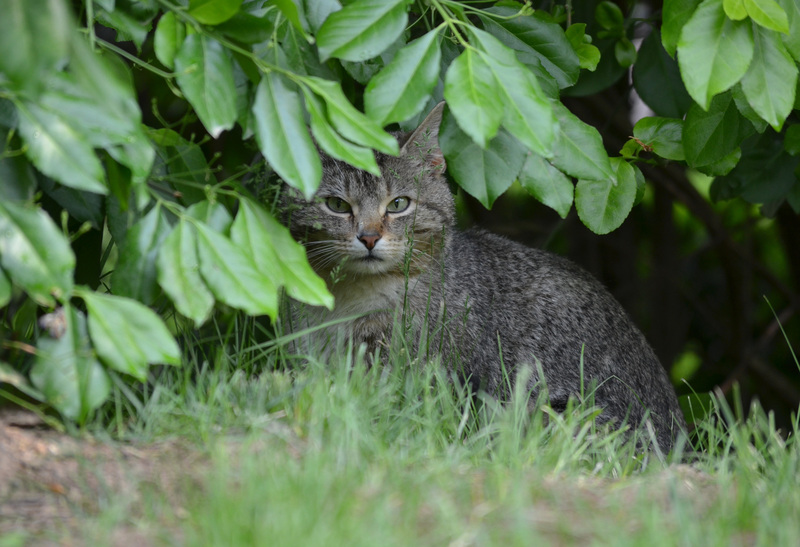 Because feral cats lack interactions and positive experiences with humans they are often fearful, aggressive, self-defensive and distant when a human is present. In my opinion, this makes them an extremely interesting subject to research. This feral colony lives outside of an now empty house in a college town. The house is by no means abandoned, the residents recently moved to a retirement home and the house is in limbo while they decide what to do with it. The colony was being cared for by the house owners and when they moved they paid a woman at the local pet supply store to continue caring for the 15 colony residents. Despite the fact the entire colony is spayed/neutered new cats are frequently showing up in the area. The colony is located near campus and students often dump cats when they have no more need for them.